Mrs. Evelyn Rose Ess, age 91, of Kincaid, IL. passed away at Taylorville Care Center surrounded by her loving family at 9:01 a.m. on Thursday, September 27, 2018. She was born in Taylorville, IL. on July 5, 1927 the daughter of James M. and Crystal (Followell) Kerns. 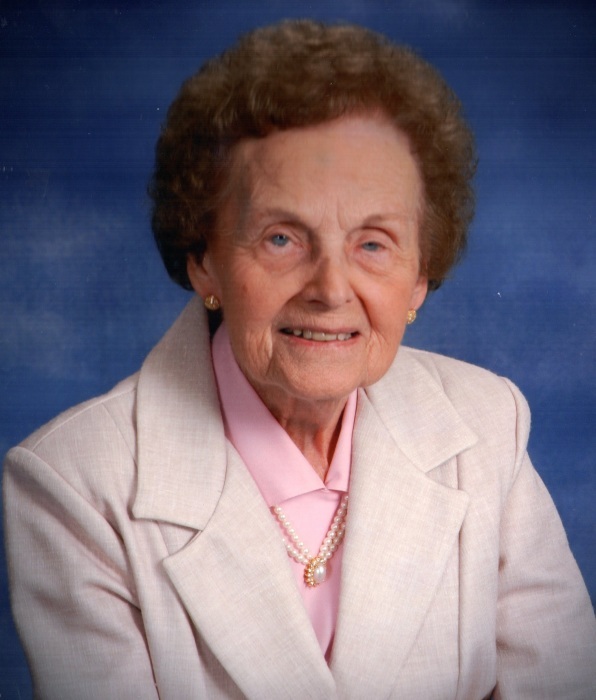 She attended Memorial School and Taylorville High School and graduated in 1946. Evelyn married Cyril J. “Bassie” Ess on April 19, 1947 in Kincaid, IL. Mr. Ess preceded her in death March 10, 1992. Mrs. Ess was a member of St. Rita Catholic Church, Kincaid where she was formerly active as a member of their Alter and Rosary Society. Evelyn was active with the Mother Singers, and the P.T.A in Kincaid. Evelyn was a homemaker who took pride in her home as well as her yard and flowers. She enjoyed doing crafts and painting ceramics. She was known for her devotion to her family and always putting them first. She was a loving mother and grandmother and the great grandchildren affectionately called her Grandma Great. Surviving are: 2 daughters Gloria and her husband Ron Wright and Barb and her husband Dennis Behrends all of Kincaid, one son Ron and his wife Theresa Ess of Taylorville, 8 grandchildren Jeff (Jenni) Wright of Taylorville, Tricia (Greg) Carter of Bloomington, IL. Jason (Trenaty) Wright of Springfield, IL. Jennifer (David) Wayman of Taylorville, IL. Brad (Kayla) Behrends of Kincaid, IL. Kelsey Ess of Taylorville, IL. Lisa Behrends of Springfield, IL. and Ryan Ess of Taylorville, IL. Great-grandchildren Caylie Carter, Justin Wright, Courtney Carter, Jessi Wright, Laura Wayman, Alex Carter, Julie Wayman, Brigston Wright, Matthew Wayman, Tucker Wright and Brooklyn Behrends along with a sister Mary and husband Hib Knape of Tucson, AZ. She was preceded in death by her parents, husband “Bassie”, 2 brothers James and Roy Kerns, a sister Doris Oller, along with siblings Jackie and Benny in infancy. A Mass of Christian Burial will be held at 10:00 a.m. Monday, October 1, 2018 at St. Rita Catholic Church, Kincaid, IL. Monsignor David Lantz will officiate. Burial will follow services at Oak Hill Cemetery, Taylorville, IL. Visitation for Mrs. Evelyn Rose Ess will be held from 5:00 to 8:00 p.m. on Sunday, September 30, 2018 at Masterson Funeral Home, Kincaid. Memorials in loving memory of Mrs. Ess are suggested to: Alzheimer Association 225 N. Michigan Ave., Floor 17 Chicago, IL 60601 or St. Rita Alter and Rosary Society P.O. Box 439, Kincaid, IL. 62540.